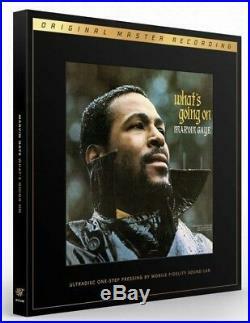 Marvin Gaye What’s Going On. 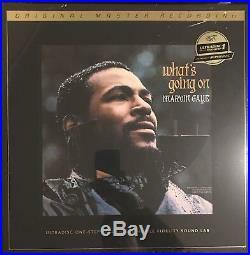 What’s Going On (Vinyl, 12, 45 RPM, Album, Limited Edition, Numbered, Reissue, Remastered) album cover. Label: Mobile Fidelity Sound Lab UD1S 2-008, Motown B0026761-01, Universal Music Special Markets B0026761-01. 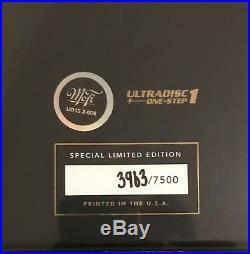 Series: UltraDisc One-Step , Original Master Recording. Format: 2 × Vinyl, 12, 45 RPM, Album, Limited Edition, Numbered, Reissue, Remastered, SuperVinyl. Released: 11 Jan 2019. Genre: Funk / Soul. A1 What’s Going On 4:00. A2 What’s Happening Brother 2:57. A3 Flyin’ High (In The Friendly Sky) 3:40. B1 Save The Children 4:06. B2 God Is Love 1:44. B3 Mercy Mercy Me (The Ecology) 3:03. C1 Right On 7:15. D1 Wholy Holy 3:06. D2 Inner City Blues (Make Me Wanna Holler) 5:30. 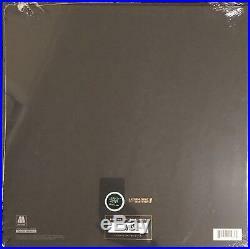 The item “Marvin Gaye Whats Going On MFSL Super Vinyl Mobile Fidelity Sound Lab Mofi” is in sale since Friday, January 18, 2019. This item is in the category “Music\Records”. The seller is “ritz-n-things” and is located in Valhalla, New York. This item can be shipped to United States, Canada, United Kingdom, Denmark, Romania, Slovakia, Bulgaria, Czech republic, Finland, Hungary, Latvia, Lithuania, Malta, Estonia, Australia, Greece, Portugal, Cyprus, Slovenia, Japan, China, Sweden, South Korea, Indonesia, Taiwan, South africa, Thailand, Belgium, France, Hong Kong, Ireland, Netherlands, Poland, Spain, Italy, Germany, Austria, Bahamas, Israel, Mexico, New Zealand, Singapore, Switzerland, Norway, Saudi arabia, Ukraine, United arab emirates, Qatar, Kuwait, Bahrain, Croatia, Malaysia, Brazil, Chile, Colombia, Costa rica, Dominican republic, Panama, Trinidad and tobago, Guatemala, El salvador, Honduras, Jamaica, Antigua and barbuda, Aruba, Belize, Dominica, Grenada, Saint kitts and nevis, Saint lucia, Montserrat, Turks and caicos islands, Barbados, Bangladesh, Bermuda, Brunei darussalam, Bolivia, Ecuador, Egypt, French guiana, Guernsey, Gibraltar, Guadeloupe, Iceland, Jersey, Jordan, Cambodia, Cayman islands, Liechtenstein, Sri lanka, Luxembourg, Monaco, Macao, Martinique, Maldives, Nicaragua, Oman, Peru, Pakistan, Paraguay, Reunion, Viet nam.